Bishopville Park is a satellite park serving the citizens and visitors of Worcester County. This eye-catching park is situated just outside of the community of Bishopville, and features a grassy open area that can be used for both informal activities and organized recreation functions. Girdletree Park is located on Box Iron Road, in the Village of Girdletree, a quaint rural village located approximately 30 miles southwest of Ocean City. This 3-acre site includes a playground with two adjoining sections, one for ages 2-5 and another for ages 6-12, a pavilion with grills and picnic tables. Greys Creeks Nature Park is located at the extreme northeast tip of Worcester County and offers an incomparable view of Assawoman Bay. The towering skylines of north Ocean City, Maryland and Fenwick Island, Delaware, on one side of the bay and the serene , unassuming marshlands of this park on the other. Herring Creek Nature Park is located in West Ocean City, providing a scenic location for area residents to enjoy a piece of nature relatively close to developed areas. The park features a pavilion that is available for picnics and gatherings, as well as walking/jogging paths and bird watching stations. Homer Gudelsky Park is located at the end of Route 707, Old Bridge Road, in West Ocean City. The land is directly across from the Ocean City Inlet of the Sinepuxent Bay. This location offers casual access to the waterfront and makes it possible to find a place to fish from the shore. Isle of Wight Park is located on St. Martin's Neck Road, just south of Rt. 90 in Bishopville. Isle of Wight is a passive nature park, offering a canoe and kayak launch site, two piers and picnic tables. This park is a great place to relax, fish and partake in local crabbing activities. John Walter Smith Park, located on Public Landing Road in Snow Hill, serves as the athletic complex to citizens in the central section of the County. This location is where Worcester County Department of Recreation & Parks programming and maintenance operations are administered. Newark Neighborhood Park is located in the community of Newark, located midway between the towns of Snow Hill and Berlin. This quaint park was developed as a rural neighborhood park for the citizens of the area to enjoy. The park offers a pavilion equipped with picnic table and two barbecue grills. Newtown Park is located at the intersection of Stockton and Groton Roads in Pocomoke, serving as an athletic complex to citizens in the southern end of the County. To date one senior league field, three little league fields, two softball fields, and three multipurpose fields. Showell Park is one of Worcester County's many athletic parks, located on Racetrack Road, in Showell, Maryland. This park is used for county's softball leagues and as an overflow facility during large softball tournaments. Showell Park offers two playgrounds, one for 2-5 year olds and one for 5-12 year olds. The village of Stockton is home to Stockton Neighborhood Park. This attractive park is located on Stockton Road, Rt. 366, approximately nine miles east of Route 113. Stockton Neighborhood Park offers a pavilion equipped with picnic tables and a barbeque grill. The charming park also has a playground unit, benches and a baseball/softball backstop for the community to use. Whaleyville Park is nestled between the intersection of Route 610 and Shepperd's Crossing Road in Whaleyville. Whaleyville is located in the northern part of Worcester County, 12.5 miles west of Ocean City. Playground Equipment and picnic tables are nestled in an area of mature pine trees that provide shade as well as a wonderful canvas for framing the picnic and playground area. The Worcester County Recreation Center, located at John Walter Smith Park in Snow Hill, includes a climate controlled 47,000 square-foot multi-purpose fitness arena. 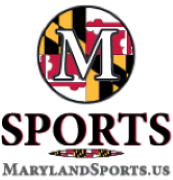 Housed within are the offices of the Recreation & Parks staff, along with a 520 seat arena with two multipurpose courts, six basketball hoops, indoor soccer/lacrosse courts, and a four lane walking/jogging track. The track is open to everyone during the hours of operation. Narrow your search by selecting park features. Selecting multiple tags will search for parks that contain all selected features. The Tree of Life Dedication Program allows you to plant/adopt a tree or have a permanent park bench placed in one of the 11 available Worcester County Parks to help observe your occasion. You can honor that new arrival, graduation, anniversary, or memory of a loved one. There are three dedication options available which includes the choice to purchase a new tree, adopt an existing tree or purchase a park bench that will be permanently anchored in concrete. In addition to a living tribute, you will help provide shade, clean the air, and beautify the park for all citizens and visitor through the use of this magnificent program. Our mission is to provide a variety of quality recreational programs, pristine parks, and facilities to enrich the lives of citizens. 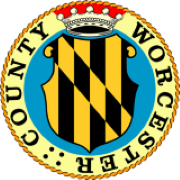 Phone: (410) 632-2144 | © 2019 Worcester County Government. All Rights Reserved.